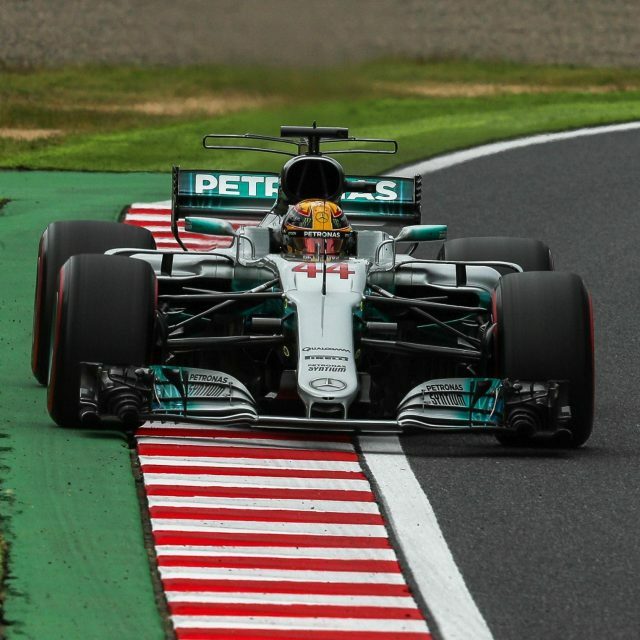 Before the start there was found to be problem with front row starter Vettel's engine which the team hoped they had fixed on the grid, at the start pole man Hamilton lead away from Vettel while Verstappen managed to squeeze past his teammate Ricciardo to slot into third place. 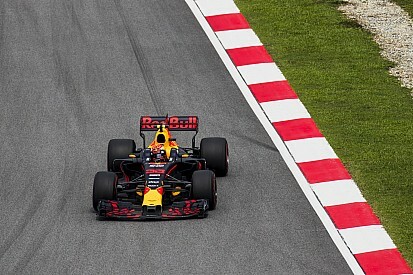 It soon became apparent that all still was not right with Vettel's engine as he began to lose places and soon after he was forced to retire from the race. The SC was brought out for Sainz's crash on the opening lap and later with just a few laps to go the VSC was called after Stroll had a car failure and had to park his car. 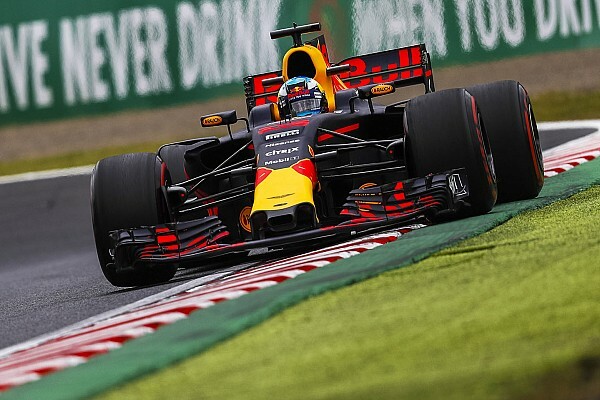 In third place with 163 points and receiving the "Reliable Ricciardo Trophy"
In second place with 166 points and receiving the "Fighting Verstappen Trophy"
In first place with 170 points and receiving the "Victorious Hamilton Trophy"
Last edited by pokerman on Fri Oct 20, 2017 11:22 am, edited 1 time in total. Might still manage to bag a top-3 finish despite my shenanigans at Singapore. Probably need top five/ten finishes in the final four races, plus mcdo having four atrocious results, to get anywhere near 1st though. Whilst I'm scrabbling like mad to get into the top 10. Another round, and another disastrous result for me... I will be happy to stay in the top 20 at the end of the season... My recent "form" is similar to Ferrari's . Is there a Rookie of the Year prize? If so, who qualifies? There use to be a rookie competition but this was for players that joined mid season so basically the earlier you joined the better the chance you had of winning it so I couldn't really get my head around that. I'm open to having a rookie prize at the end of the season but I don't want to be running a rookie champs in parallel through the season with the main competition. I would have won the rookie prize in 2013 if such a thing was around for first year players. Last edited by Jenson's Understeer on Fri Oct 20, 2017 7:23 am, edited 1 time in total. Wow 2nd place with the fighting Verstappen trophy! I’ll take it. Still a ways back of mcdo. Nice write up pokerman. Last edited by Icemanjee1 on Thu Oct 19, 2017 8:16 pm, edited 1 time in total. Last edited by pokerman on Fri Oct 20, 2017 2:52 pm, edited 1 time in total. ps to Pokerman: Cheers, my friend. Welcome to the US this weekend. Was wondering: Did I finish tied for 15th in Japan, on 137? I see a missing space for that spot in the list above. Just checking, because it will be one of my best finishes for the year! It looks like you carried it over into my running total, however, (which I'm not proud of, btw), so no big deal. Enjoy the race this weekend. Looks like rain on Sunday. Finally I get to watch one only an hour from my own time zone! Last edited by mcdo on Fri Oct 20, 2017 12:24 pm, edited 1 time in total. Last edited by TypingChicane on Fri Oct 20, 2017 9:04 am, edited 1 time in total. Yes yours was the missing spot, I've added you now, is it definite that the race will be wet, I guess you are more likely to know with it being your home race? Well, okay - just one.